Primarily found in India, the neem tree has various health benefits that have been put to use for years. The many health benefits that neem provides comes from its seeds, leaves, bark, fruit, and roots. The natural moisture in the leaves have antiviral, antibacterial, antifungal properties that can stop viruses from developing and attacking your body. Some people take advantage of the antibacterial properties in neem leaves by smashing them up into a paste to apply topically to various skin problems like eczema, rashes, and acne. The compounds that make up the antifungal properties in neem are edunin and nimbidol. Thanks to these compounds neem is effective at treating fungal infections like ringworm. The antiseptic properties in neem make it great for oral health, as it can kill the bacteria that produces gum disease, cavities, and halitosis. Neem is known as a natural spermicide, which can help stop infections that are sexually transmitted. Also, neem has been known to help stop vaginal discharge once used as a vaginal suppository. Both men and women can use neem to lower fertility and keep libido or sexual performance high. If you have arthritis take advantage of the botanical effects that neem provides. If you have osteo arthritis or rheumatoid arthritis take some neem oil and massage it into the problem areas as often as you can throughout each day. The oil will help to decrease any inflammation or pain associated with your arthritis condition. Also, you can drink neem leaf extract daily to help stop arthritis pain for good. Make the extract by boiling one hundred grams of crushed neem leaves. Keep the leaves in the boiling water for thirty minutes before removing it from the fire. Strain the liquid from the leaves and let it cool down. Consume the liquid extract a couple times each day for the best results. There are certain antioxidants in neem leaves that can help with the treatment and prevention of cancer. Some of these anti-cancer properties in neem include kaemferol, azadirachtin, glucopyranoside, quercetin, and nimbolide. Along with the vitamin C in neem, these antixiodants will fight off cancer cells by making your immune system stronger, killing free radicals, reducing inflammation, stopping cell division. You should be aware of certain side effects of neem before using it for its many health benefits. 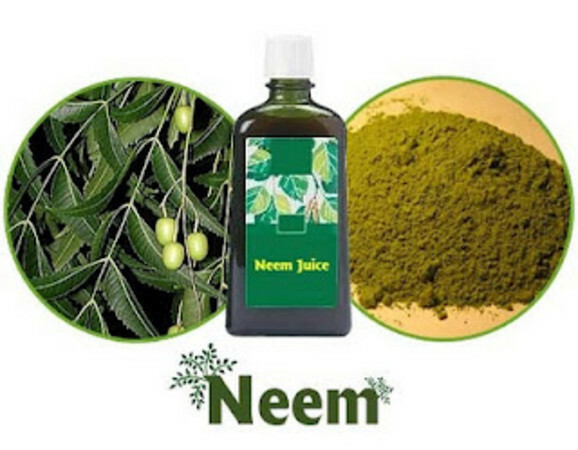 Neem shouldn’t be consumed if you have any type of kidney problems at the moment or in the past. Since neem is a natural birth control agent you shouldn’t take it if you are trying to have a baby or if you are pregnant. If you have any kind of stomach issues you should seek medical advice before using neem extracts or supplements. When you store neem oil in the refrigerator it will maintain its potency and effectiveness much longer. Avoid mixing anything with your neem oil until it is time for you to put it to use. Sometimes neem oil will solidify when it gets cold so you will have to warm it up by placing the container it is in inside another container with warm water. After about 20 to 30 minutes the oil will become a liquid and you can start using it. Max is a health professional that has years of expertise on a number of different topics such as cellulite treatment. Go ahead and click on this link to check out more of his articles and health advice.